and what your training goals are. For the purpose of this post, I'm going to define running long as anything over 1 hour, because I know we have a lot of beginners out there. For those of you veterans, I mean anything more than 10 miles. The training principles are relatively the same, and I think it's important for newer runners to develop good habits that will translate well into even longer distances. So what are the benefits to running long? Well, along with varying your workouts to avoid mental (and physical) burnout, the long run teaches your body to burn fat as fuel . . . to pump blood to your tired muscles (in fact, you develop extra capillaries in the process) . . . to utilize all your muscles (both fast-twitch and slow) in endurance feats . . . and to cope with more time on your feet (and, therefore, help with your speed at shorter distances over time). If you're training for distance events, running long also teaches your mind to deal psychologically. But you can't just set out on an hour-long run if you've only been running 15 or 30 minutes at a time. You'll probably be able to do it, but your body needs the gradual build-up to longer distances or you'll likely experience injury. Step #1: Look at your training. What are your goals? What have you been running? 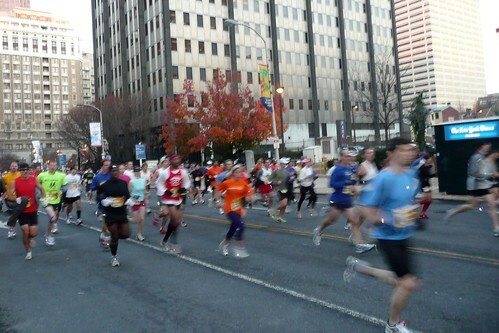 If you're training for your first 5K, running long might not be a goal for you right now. Instead, concentrate on building up your base mileage to at least 15 miles a week. 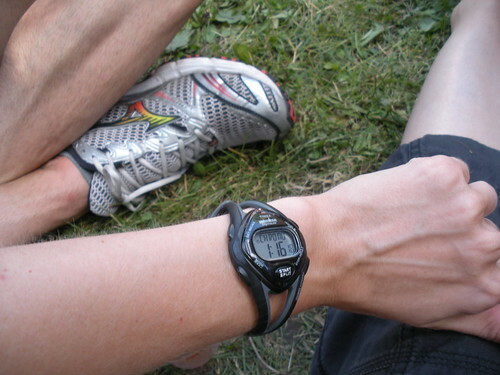 But once you get into a few races and/or log some more time on your feet, you'll be ready to go. Step #2: Prepare. You need to treat your long runs like you treat your races. It's an event. Make sure you hydrate adequately the day before. Eat a good dinner full of carbs and try not to eat anything "weird" that might cause digestive problems the next day. And the morning of, make sure you eat at least SOMETHING for breakfast. I'm guilty of skipping the meal at times, but you'll feel it . . . and you don't want to run out of energy when you're miles away from home. A simple piece of whole wheat toast with peanut butter should do the trick. Basically: Treat yourself well, get enough rest, and if you're sick -- consider postponing. LSD can zap your energy and make it more difficult to rebound from sickness . . . consider doing some light cross-training. 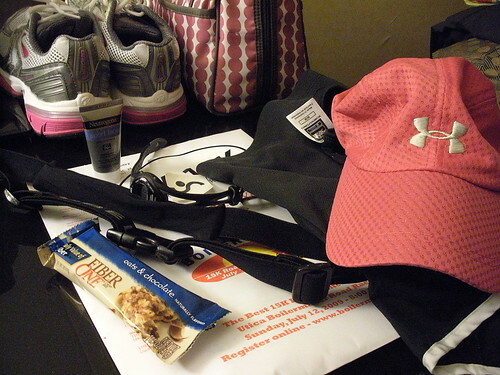 And doing a bit of pre-run prep will help you when you decide to race. You'll be familiar with the routine. Step #3: Gradually increase distance. Start with your longest run. Say that's 4 miles right now. Add 10 minutes (or about 1 mile) to that run the week you're ready to start. The next week, add another mile to that run. The following week, take a rest where you go back to that 4-mile distance. You don't want to increase physical demands too quickly . . . so keep it gradual. And, again, look at training plans as your guide. Step #4: Go ssllooww. 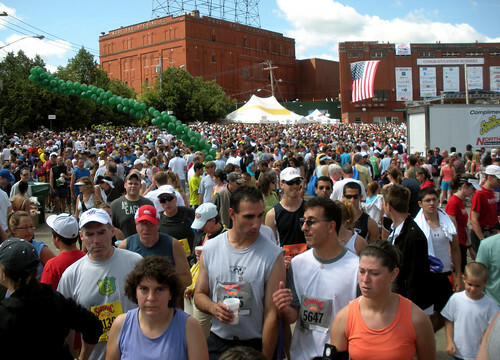 (Photo from Amdro.com) Long runs are not to be completed at your usual pace. Under no circumstances should you run them at your goal race pace, or you'll be on the road to physical burnout. I've heard anywhere from a 1 to 2 minutes slower than your race pace range. How does this translate if you haven't run a race . . . or don't have a goal? I typically run my "usual" easy runs at an 8:15 to 8:30 pace . . . and my long runs are usually around 8:50 to 9:00. So, I'd say 30 to 45 seconds slower than your easy runs. The key is to feel it out. I always start my long runs incredibly slow. Almost so I feel my legs aren't propelling me forward. OK. That's dramatic, but I don't push myself at all. Then I find that if I do this for about 10 minutes, I eventually settle on a pace I find comfortable for the rest of the ride. You shouldn't be panting . . . you should be able to talk without running out of breath . . . and you really should be enjoying yourself. Your long run isn't for developing speed. If you're interested in doing that, check out another one of our running posts: Running for SPEED: How To. Step #5: Stay sane. If you've been running long for a while and are beginning to push beyond the 2-hour mark . . . staying sane might sound absolutely impossible. 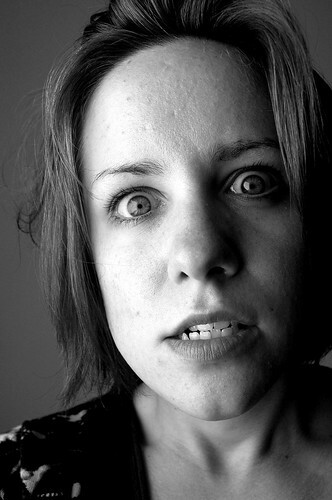 But if you employ some mental tricks, you should be able to push through the crazies. I take music with me sometimes. But, strangely, other times I can't listen to music because I know about how long each song is, and -- therefore -- how long I've been running. Other times I break the run into 30-minute chunks. When I reach the end of each "chunk" I picture myself finishing a race and somehow mentally cross it out. It makes me feel better. But I try my very best to not continually look at my watch. Instead, I've on occasion left my watch at my house on the front step (with some water for hydration) and I make loops around that I know are about that distance/time. Going slow also helps me stay sane because I'm comfortable. It makes running more of an experience than a workout. And more fun than work. It took me a while to feel this way, though. Does anyone else have any tips or tricks to share? We'd love if you'd comment! Step #6: Fuel and hydrate. Maybe not like we do at the end of the Boilermaker, but -- hey! When you're running long, fuel and hydration become an issue. A general rule is to drink something (even just a sip -- but it's recommended to drink 6 to 8 ounces) for every 20 minutes you're out there. Runs of 1-hour aren't too bad, but if you start getting over the 90-minute mark, you need to consider adding some sports drinks and possibly taking gels or other sources of fuel with you (or looping around a drop spot -- like my house example above). I'm bad with this "rule" and typically don't drink on my runs unless they're longer than 90 minutes (or if it's summer and ungodly hot). I do drink sports drinks -- but I make my own by getting the big tubs of powered Gatorade and making a watered-down version. I find myself craving this flavor during the run . . . and get an extra boost of energy the minute it touches my lips. Step #7: Recover smart. Just as it's important to treat your body right BEFORE the run . . . it's just as important (if not more) to recover properly. This means you need to consume something as soon as you can -- especially fluids. I have trouble eating after a long run. I can't seem to stomach whole food, so I go with smoothies or chocolate soy milk. Get a mix of carbs and protein in there, if you can, as that's what your body desperately needs and craves. 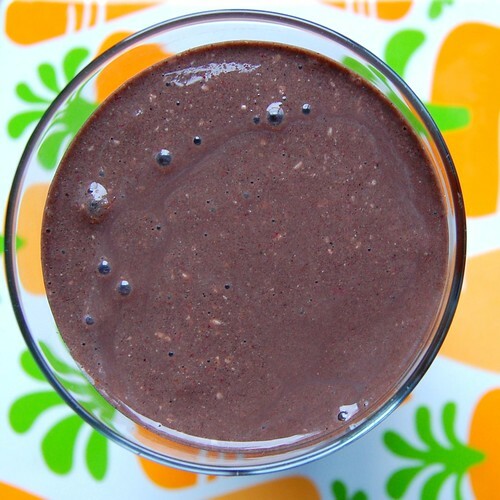 Here's my favorite post-run smoothie recipe -- just throw together and blend! Then try to eat more of a "real" meal sometime within the next two hours. Make sure you pay attention to all the healthy food groups. But you can reward yourself a bit, too. I enjoy homemade veggie pizza. And if you run, say, 10 miles . . . that's almost 1,000 calories you have to work with!!! And here are some more tips on how to recover smart. Of course, make some time to be horizontal -- whether this means taking a nap, crashing a bit on the couch, or just taking it easy. It's one of my favorite parts of being a runner. Earning some TV time!